Radio Disney Mexico 99.3 FM en Vivo . 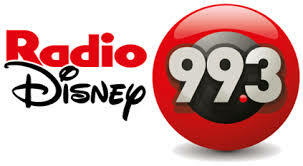 Radio Disney 99.3, is a radio station in Mexico City that broadcasts pop, rock music and dance music. The station is owned by Grupo ACIR and airs the Radio Disney format.